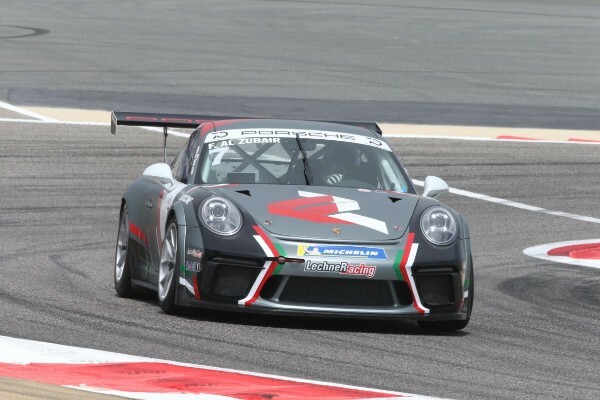 The stage is set for the final two races in the Porsche GT3 Cup Challenge Middle East at Bahrain International Circuit. A dramatic ultimate qualifying session seems fitting for the finale of the Porsche GT3 Cup Challenge Middle East. Al Faisal Al Zubair made the most of the 20-mintue qualifying session to secure double pole for this weekend’s two races, despite an oil-slick track. The electric atmosphere at the Bahrain International Circuit played a huge part, as the championship’s closing round acts as the official support race to the 2018 Formula 1 Gulf Air Bahrain Grand Prix. All drivers rose to the occasion, but it was the young Arab talent who really shone, with Isa S. Al Khalifa and Isa A. Al Khalifa joining Al Zubair in the top five on the grid for both races. Al Zubair, knows exactly what he needs to do this weekend to secure his first championship title, and add his name to the history books as the fourth Arab driver to win the Middle East racing series. The Omani sensation would join Kuwait’s Zaid Ashkanani, Saudi Arabia’s Abdulaziz Al Faisal, and Bahrain’s Salman Bin Rashid Al Khalifa as local talent that the series has already helped develop since its inception in 2009. After clocking a quick 2:03.887, Al Zubair commented: “Double pole is definitely the position I hoped to be in this weekend. I didn’t put too much pressure on in practice, as qualifying is where it counts. My laps were getting faster and faster and usually that has not been the case. Sharing the front row with Al Zubair is UAE-based driver Glynn Geddie who achieved a season’s best starting position, clearly thriving on the occasion. Dutch driver Charlie Frijns maintained his form to start from third. Team Bahrain entertained their home crowd, with Isa S. Al Khalifa securing fourth position and Isa A. Al Khalifa fifth. The session wasn’t easy; Porsche China Junior Daniel Lu lost his engine in the chicane leaving oil on the track during the final lap for most drivers. South African Saul Hack spun out as a result and drivers headed back to the pits with cautious moves. The fastest lap by each driver in the session decided Saturday’s Race 1 grid and their second fastest lap clocked for Sunday’s Race 2 grid. 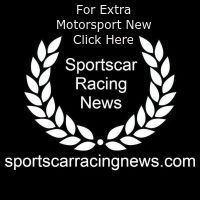 With qualifying results showing just how close the competition is across all three categories, fans of the Porsche GT3 Cup Challenge Middle East, Formula 1 and global motorsport will witness drivers battle it out in what is set to be a speculative season showdown.